"Selectamark has been providing bespoke solutions to OEM customers for over 20 years"
Selectamark is a leading supplier of bespoke security asset marking and asset identification kits to a number of leading organisations and institutions. Due to the breadth of the Selectamark product range kits can be tailored to suit product and production constraints, time available on the line and of course the size of the investment and cost that a particular product or asset will carry. Selectamark has been providing these sorts of bespoke solutions for over 20 years and has many satisfied OEM customers who can act as a reference to confirm the support and service that Selectamark can provide. As the solutions are all bespoke for each client a full understanding of the product and process is required before a selection of possible solutions can be suggested. But to provide an indication of the range of options that are available some are suggested below. The kits can be a visual identification system such as Selectamark chemical etching, which is approved to LPS1225 and recommended by many leading insurers. The solution could be based on one of the range of asset labels from the SelectaLabel range which can offer sequential numbering and bar code identification and even QR barcodes. For more specialist sectors we offer our SelectaDNA forensic marking, or a range of microdots which can contain either a unique number, a VIN or other production code or reference. 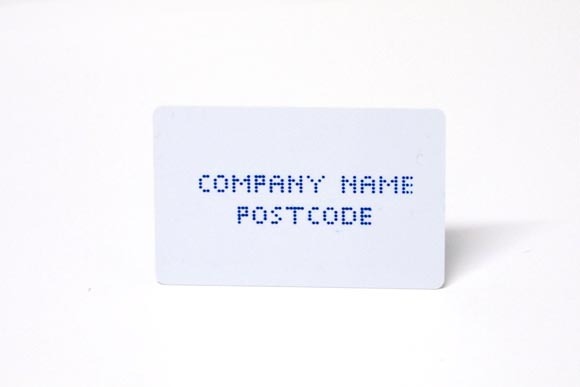 The more advanced solutions incorporate a number of different formats such as stencils with a chemical etching, security labels, microdots and RFID tags. For customers with an extensive product portfolio there is even the option of offering different kits for different product groups or a range of aftermarket upgrade kits.